Find Pre-existing Lines for Remodeling Jobs | Drain King Inc.
Not just anyone should remodel the pipes in your bathroom or kitchen. A big consideration should be where the current piping exists and if it can be moved to another location without impacting the overall system. For instance, if you wanted to move the shower in your bathroom you may also have to move the sink and the toilet depending on the configuration, otherwise your drain, faucet, shower or toilet may not work well. The experts at Drain King can help you identify your current system layout and also assist you with creating a remodel plan that will comply with current codes as well as keep your system running at optimal levels. With today’s technology the guess work has been removed. Our Drain King technicians utilize state-of-the-art equipment that allows us to locate and inspect sewer, drain and water lines without having to dig. We use tiny cameras to give detailed information about the location and condition of your sewer pipes and we can also map the location of your drain system and water lines to prevent accidental damage when digging for landscape or construction remodeling purposes. 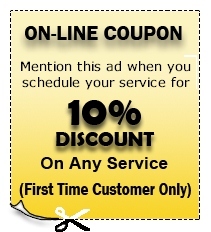 At Drain King, we take great pride in our reliable, courteous, and highly qualified technicians. We use state-of-the-art equipment to correctly recommend piping systems for bathroom or kitchen remodel projects. Each piping system must be evaluated and considered as it is needed for each particular application. The technicians at Drain King are qualified to identify the best composite piping system as well as the size of line your home or business will need. Here at Drain King, we can help you with all of your household and sewer-system needs in Minneapolis, St Paul and Bloomington, MN. Please contact us at 763-786-3000. We can answer any questions you have.